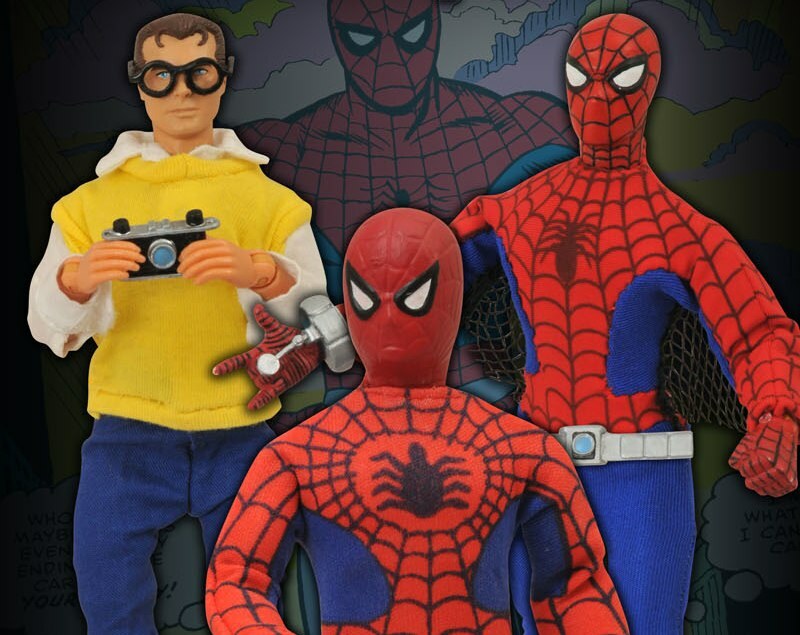 For years, Diamond Select Toys (DST) has been re-creating the classic 8-inch, cloth-costume action figures of the 1970s, but one line has received more requests than any other: the Marvel Comics characters from Mego’s World’s Greatest Super-Heroes line. Today, DST is happy to announce a line of deluxe gift sets that are inspired by those classic figures, starting with the Amazing Spider-Man! 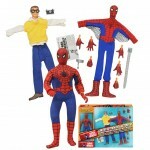 Painstakingly designed by the craftsmen at EMCE Toys, the Amazing Spider- Man will come as he first appeared in 1973, in his original “circle suit” costume. 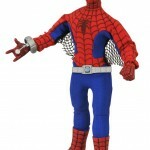 However, the head and costume will be removable, allowing you to use the additional heads, hands, outfits and accessories in the set to turn him into Daily Bugle photographer Peter Parker, or even a more modern comic version of the wall-crawler! 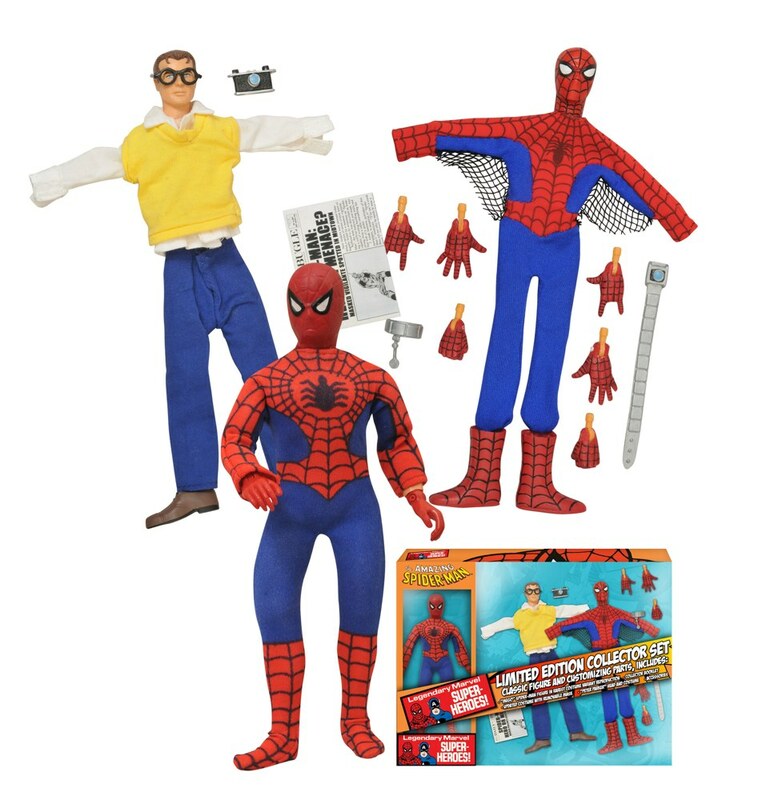 The 1970s-style Spider-Man figure will come packaged in a reproduction window box inside a larger collector case, and the additional outfits and parts will come packaged on an adjacent display tray. The case will also contain a miniature booklet outlining the history of the character. Future figures in the line will include Captain America, Thor and Wolverine, and each will come with alternate outfits and parts. Each set will be limited to just 3,000 pieces, and retail for approximately $80. 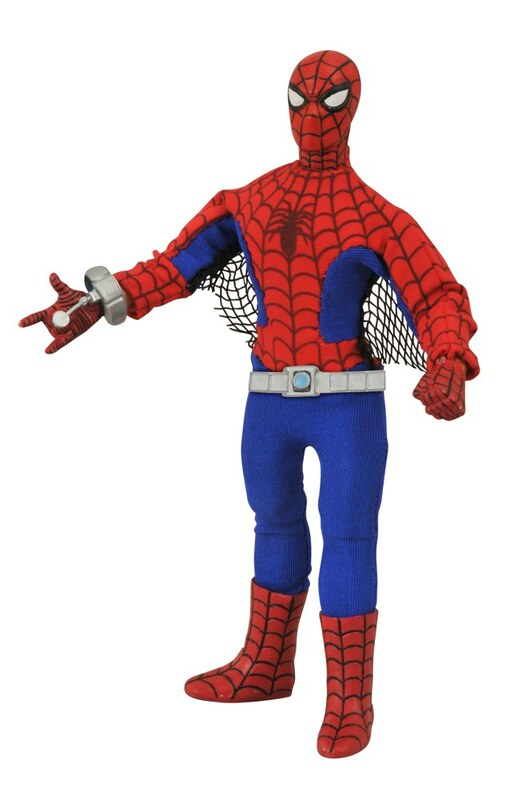 Pre-orders are open for Spider- Man now, and he will be on store shelves in late 2014. Diamond Select Toys and Collectibles, LLC was founded in 1999 by sister company Diamond Comic Distributors, Inc. Envisioned to create unique and exciting collectibles for children and adults alike, the company has licensed a vast array of pop culture properties to be turned into merchandise. In 2007, Diamond Select Toys acquired select assets of the New York design studio Art Asylum, creators of the global Minimates brand. Minimates have been recognized as the #1 selling block figure in the world and were the first toys ever to be inducted into the ToyFare Hall of Fame in 2007. With partners such as Marvel Entertainment, Universal Studios, EA Games, Twentieth Century Fox, Warner Bros., Nickelodeon and Sony Pictures, Diamond Select manufactures a wide variety of collectible products, and is headquartered in Hunt Valley, MD. 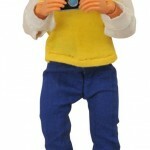 For more information, visit www.diamondselecttoys.com. Next Up: Ask DST #245: Star Trek Returns!